Lets face it, conventional ab exercise are BORING! If I have to do one more crunch in order to get that “6 pack,” I’m going to lose it! In an effort to avoid the mundane exercise and keep my clients, interested and motivated, I’ve incorporated bands to spice things up and take their mid section (and mine) to the next level. You will also find that these band ab exercises are way more fun, and you can control the intensity of the exercise with the tension of the band. 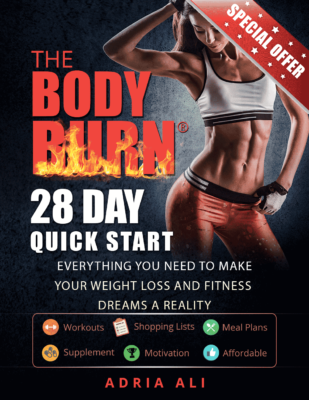 So, if you are trying to get back into shape and your mid section has seen better days, then it’s time you mixed it up and tried something new, for the better of your waist line! I recommend 3 sets of 15 – 20 repetitions. Abs can be done daily since they are an endurance muscle. These can also be split up so that you can do 2 – 3 exercises each day. Keep your arms extended ou above your head throughout (source). Lay on back with hips and knees flexed. Stretch the band over knees and cross underneath. Secure each end of the band under your hands with elbows extended by your side. Lift your knees upward, lifting your hips off the floor. Slowly return (source). TRAINER TIP – For exercise that require you to lean back as you move (the next 2 exercises), the more resistance the band has to easier it is to hold your body in the V formation. However, this may mean that the movement required could be more difficult. Try to choose a moderate intensity band and do what you can. Keeping lower body still and band taut, slowly rotate torso to right as you bend elbows slightly and lower hands beside right hip. Rotate back to center with arms extended, then rotate to left to complete one rep.